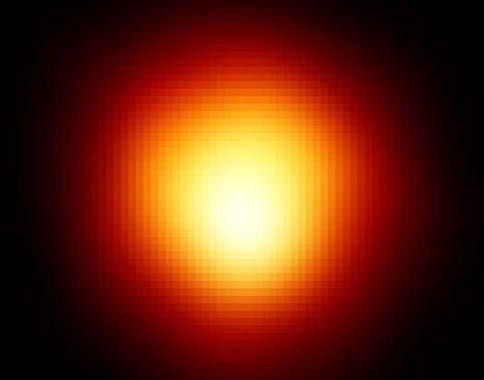 Pollux is a orange-red giant star of spectral and luminosity type K0 IIIb. It has about 1.7 +/- 0.4 times Sol's mass (Allende-Prieto and Lambert, 2000; and Drake and Smith, 1990), 8.8 +/- 0.1 times its diameter (Hatzes et al, 2006), and 32 times its visual luminosity. Since 1990, it has been measured to be around 85 to 155 percent as enriched as Sol with elements heavier than hydrogen ("metallicity"), based on its abundance of iron (Hatzes et al, 2006; and Drake and Smith, 1990). According to the Yale Bright Star Catalogue, 1991 5th Revised Edition notes entry for HR 2990, there are "pronounced emissions" of magnesium-II. Given that Pollux has a higher mass and is more evolved than Sol, the star is likely to be much younger than Sol's 4.6 billion years. 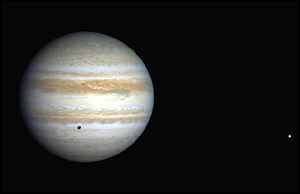 Its relatively high mass estimates, however, suggest that it has not yet suffered substantial mass loss. Thus, Pollux may have evolved to the first ascent of the red-giant branch or to the post-helium-flash clump-giant stage (Drake and Smith, 1990). Pollux is a New Suspected Variable star designated as NSV 3712, and it may have as many as six optical, stellar companions that are not gravitationally bound to the star. Useful catalogue numbers and designations for the star include: Bet Gem, 78 Gem, HR 2990*, Gl 286, Hip 37826, HD 62509, BD+28 1463, SAO 79666, FK5 295, LHS 1945, LTT 12065, LFT 548, and ADS 6335 A. 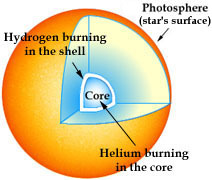 As a star that has evolved out of the "main sequence," Pollux has fully shifted from the fusion of hydrogen to helium at its core to the fusion of helium to carbon and oxygen, with trace activity of other nuclear processes. This helium-burning, orange-red giant stage is relatively brief, lasting tens to hundreds of million years (e.g., lasting around 700 million years for a star of one Solar mass like the Sun). Currently, the orbit of an Earth-like planet (with liquid water) around Pollux may be centered around 5.7 AU -- just outside the orbital distance of Jupiter in the Solar System. 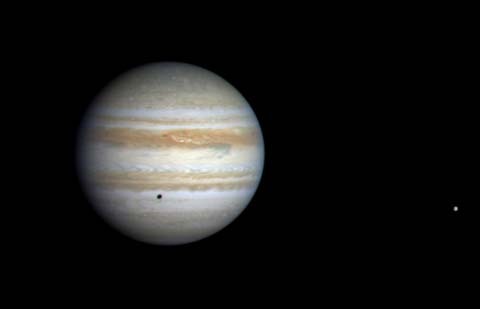 Astronomers would find it very difficult to detect an Earth-type planet in the water zone of this star using present methods. 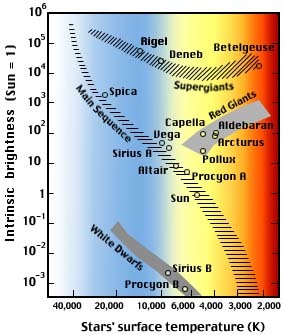 The following table includes all star systems known to be located within 10 light-years (ly), plus more bright stars within 10 to 20 ly, of Pollux. Try Professor Jim Kaler's Stars site for other information about Pollux at the University of Illinois' Department of Astronomy. Up-to-date technical summaries on this star can be found at: Jean Schneiders's Extrasolar Planets Encyclopaedia; the Astronomiches Rechen-Institut at Heidelberg's ARICNS and the Nearby Stars Database. Additional information may be available at Roger Wilcox's Internet Stellar Database.